How to Prevent a Home Closing Catastrophe. Having a good negotiator in your corner always helps both sellers and buyers work effectively through the home sale process and limits the possibility of a home closing failure. Issues sometimes arise that can derail a home sale, so it helps to have insights as to where you as a buyer or the seller have the ability to keep things on track through individual effort. While good negotiation skills are a must, understanding your role in the process can also help prevent a home sale catastrophe. So you have found a buyer who appears ready willing and able to buy your home and they have committed to buying your home by submitting an offer along with proof of mortgage pre-approval and earnest money. How do you make sure you get to the closing table and not let the deal fall apart? Read on to get the answers. From the get go you as the seller should be open with letting the home buyers inspector come into your home for the inspection process. You or your agent should be present during the home inspection in case you need to answer any questions. Any resistance to the home inspection process and you run the risk of raising red flags with the buyer and their agent. Yes there may be problems with the house but covering them up will not be helpful in trying to get to closing. By being upfront with issues and being ready to remedy issues that do come up during inspection your home sale will go smoothly. When request for repairs are made by the buyer make every attempt to complete the repairs in a timely manner so the buyer has time to check the repairs prior to closing. If the repairs are not made prior to closing or the buyer does not have time to check the repairs since they were done late, it is possible they could call off or delay the home sale. If there are repairs you cannot have done prior to closing or possibly don’t want to do for whatever reason be prepared to renegotiate the price to take account of the repairs or to offer some form of payment to the buyer to allow them to make the repairs after closing. It is possible the buyers will not want to renegotiate the price or get a separate payment and will only want the repairs to be done. If you don’t do the repairs then expect the buyers to walk away from the deal and for you to have to restart the selling process all over again. home sale killed because of minor issues is to hire a home inspector to do a pre-sale inspection for you (for some more info on home inspections check out my Podcast#1). The home inspector should be able to tell you about those minor issues so you can fix them ahead of time. You are encouraged to negotiate with the buyer as to how to handle minor repairs. But to let a deal fall apart because a buyer asked you to fix something simple does not make financial sense when you are trying to sell a home. Buyer financing is always a major issue to be aware of in the home sale process. Real estate agents will generally make sure their clients are aware of how financing works during a home sale process and ensure the buyer presents their offer with a mortgage pre-approval letter. If you are selling For Sale By Owner you are encouraged to study up on the mortgage lending process so you know what types of purchase offers are good and what types are not worth the paper they are written on. Even if an offer was presented with a pre-approval letter there is still a chance that financing can fall through (see below for more information on how buyer actions may cause financing to fall through). If financing does fall through, then what can a seller do to try and keep a home sale deal alive? If a seller has the financial ability they could finance the buyer’s purchase of the home themselves through a land contract or by acting as a mortgage lender of sorts. Both of these options have much higher risk for the seller and an attorney should be consulted in order to determine if this path is worthwhile in order to keep the home sale alive. For the average home seller, if buyer financing falls through then it is better for the seller to allow the home sale deal to fail and try again with another qualified buyer. Yes it is a big inconvenience for you as the seller but the chances of keeping alive a home sale deal with lack of financing are slim to none without backing of a lender. So just restart the home sale process again. So you found the house of your dreams and made an offer that was accepted. There are a number of ways where the deal can fall apart and you as the buyer have direct control on preventing some of these events from happening. One way a deal can fall apart even at the last minute is through the mortgage financing falling through. After you have been pre-approved for a mortgage and made an offer you must make a conscious effort to not change jobs, not apply for new credit lines (credit cards, store charge cards etc.) 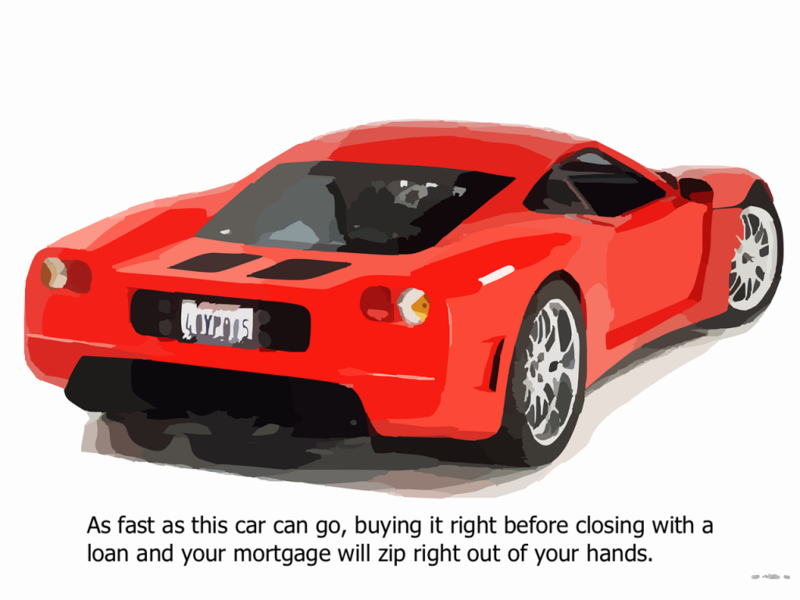 and don’t take on any other loans to purchase vehicles or boats until after you have closed on your house. Any change in your credit or employment situation prior to closing on your home purchase can cause your lender to reconsider the loan. A Closing Processor I worked with shared a story about a home buyer who at the closing table kept bragging about the brand new red sports car he had just purchased the other day. The Processor at first tried to ignore the talk about the sports car but when the buyer insisted on talking about it and even pointing his new car out in the parking lot the Processor was under obligation to ask how the home buyer paid for the new car. When the buyer informed the Processor that he took out a loan to purchase the car the Processor was obligated to call the lender and inform them of the new circumstances. Upon hearing about the new loan to purchase the car the lender ran the financial numbers again for the buyer and ended up denying funding of the loan. This happened right before both the buyer and seller were supposed to sign all the paperwork and complete the deal. Not only did the buyers poor choice to purchase a sports car prior to closing cause him issues with his lender, it also left the home seller in a bad situation where they no longer have a sale of their home at the last minute and had already moved out of the house! Don’t be that person who ruins their chance to purchase a home and at the same time causes problems for the seller with poor financial decisions. If in doubt about a credit situation discuss it with your Mortgage Loan Officer or real estate agent and wait until after closing to buy the sports car. It is highly recommended you as the buyer attend the home inspection so you can see the actual workings of your house and know what you are getting with your purchase. In case major issues arise your being present also allows you to understand the issue and discuss how much impact it will have. Major issues should be brought up with the homeowner so that they are repaired, the selling price is adjusted accordingly or some other agreement is made. In the event the homeowner states they will not do the repair you can make the determination whether or not you wish to continue with your purchase of the home. If only minor issues are noted by the home inspector you may wish to consider whether you request these issues be repaired or not. 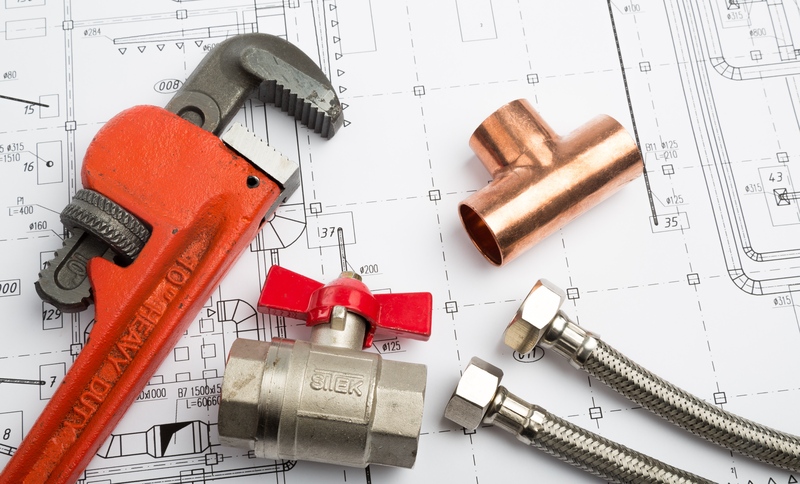 Simple repair issues that can be taken care of by yourself or cheaply by a contractor should not be something that holds up a deal but sometimes they do based on peoples ego. We can’t predict how everyone will react and maybe the seller will fix simple issues real quick and you will be on your way to closing. But what if you get that seller who has some other matters going on and they are not in the right frame of mind to deal with a simple repair request. What could be a simple fifty dollar fix now can become a major unravelling point for the entire sale. Yes it sounds unreasonable but when you are dealing with such a large transaction like a home sale the worst can come out in people. So if it is just a simple fifty dollar fix, write it down as a note for you to take care of it after closing. The appraisal of a home is a big factor when mortgage financing is involved in a home purchase. The amount of money being lent to purchase a home generally must be less than or equal to the appraised value. If the home appraises for less than the amount of the loan, then in order to keep the home sale deal alive one of two things must happen. The seller can agree to accept a lower price for the home thus resulting in a lower amount of money being borrowed to purchase the home. Or the buyer can agree to make up the difference between the appraised value of the home and the mortgage amount by paying cash out of their own pocket. In the absence of the seller agreeing to reduce the price or the buyer being able to make up the difference the home sale will fail. The final walkthrough is the time when you as the buyer need to make sure everything in the home you are about to purchase is in order, all repairs have been made and that things that are supposed to stay with the home are indeed staying with the home. Do not ignore an opportunity to walk through prior to closing. You along with your real estate agent should look over everything in the home to make sure it is the way it is supposed to be. Assuming the sellers have moved out, things to check on the final walkthrough include looking over to see that there is no excessive damage caused by the seller moving out. A few scratches and scrapes are to be expected and should not be something you should stop a closing for, after all your movers are likely to make a few scratches themselves as they move your stuff in. If there are broken windows and doors or large holes in the walls that were not previously there then you need to address these matters before you sign any closing paperwork. If you deal with the issues prior to closing you still have some leverage to get the sellers to offer some compensation for those broken items. After you sign the closing documents and take possession of the home the chances of getting any compensation for the damage is very small. Missing appliances are another issue to be aware of. Did you request the refrigerator be left in the home as part of the purchase contract? If you did and the refrigerator is not there during final walk through, then your agent should be asking the sellers through their agent what happened to the refrigerator. This applies for any appliance you requested to be left behind as part of the purchase contract. If the appliance is not there and was supposed to be left behind as part of the purchase contract then you should be demanding from the seller some sort of compensation for the appliance or demand they put the appliance back before you sign any closing paperwork. The stopping of closing is the biggest leverage you have to get something fixed. After all the closing papers are signed and the change in possession of the home has taken place your only other recourse is to sue the seller in small claims court and try and get compensation for the appliances that may have been wrongly taken. Note that if the owner said the appliance would remain with the house in the home description, but you did not specifically include that appliance in the purchase contract and it is not there when you do the final walkthrough you are out of luck. Any appliance that you want to stay with the home upon purchase must be specifically written into the purchase contract. Let your real estate agent know what appliances are important to you and should stay when you purchase the home so they make sure it is part of the purchase offer. Low appraisal, financing, and repair issues are some of the most common reasons why a home deal fails to get to closing. By properly pricing your home from the start (How To Price Your Home To Sell) and getting help from professional real estate agents, home inspectors and mortgage lenders you can help minimize the risks of your deal going south. By being committed to selling or buying a home you can be ready to handle the speed bumps that crop up along the way. About the author: The above article “How To Prevent A Home Closing Failure” was provided by Paul Sian. Paul can be reached at paul.sian@herrealtors.com or by phone at 513-560-8002. With over 10+ years experience, if you’re thinking of selling or buying, I would love to share my marketing knowledge and expertise.